Eckerd College awards residential students who show academic and/or artistic merit through our scholarship program. Academic Scholarships are awarded based on the student’s application for admission shortly after admission to the College. Eckerd College Academic Achievement Scholarships recognize outstanding applicants for admission each year. These merit-based scholarships, for students who do not require a visa to study in the United States, are based on the student’s high school GPA and test scores, and are given regardless of financial need. Students who are admitted, without conditions, are automatically considered for our academic scholarships on the basis of their internally calculated GPA and SAT/ACT scores. All merit-based scholarships are renewable. For students entering the residential program in the Fall of 2017, we will award the following academic achievement scholarships. 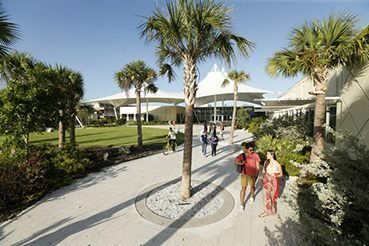 Eckerd College automatically considers international applicants for an International Student Grant of up to $20,000, and up to $2,000 in work-earned monies based on the documents and test scores you submit with your admission application. Unfortunately, Eckerd College does not offer any need-based aid to international students. Students who have talent in creative writing, music, theatre or visual art are encouraged to apply for the Artistic Achievement Award. During the first year, students winning the Artistic Achievement Award will participate in an Artist Workshop or will participate in academic course work or a co-curricular activity in the discipline of their award. In order to receive the award in subsequent years, scholarship recipients must meet with faculty in the area of their scholarship for specific renewal criteria. Submitted materials become the property of Eckerd College and will not be returned. 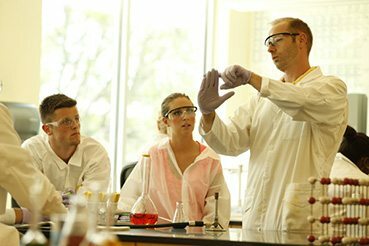 Eckerd College Research Associateships are awarded to approximately 25 incoming first-year students each year. Students are selected on the basis of their overall high school record and are given the opportunity to work closely with a member of the faculty on a research project of mutual interest. The associateship includes a one-year stipend of up to $1,000. The application must be postmarked by February 1st. View and apply for a 2019-20 First-Year Research Associateship Opportunities. The Diversity Leadership Scholarship recognizes talented students likely to provide campus leadership in the areas of diversity and inclusiveness. Preference is given to students from underrepresented backgrounds. Apply for the Diversity Leadership Scholarship. Eckerd College Presbyterian Church and Campus Need-Based Scholarships are awarded to Presbyterian Church members, based on church and community involvement as well as financial need. Recommendation by their Presbyterian pastors is required. Nomination forms must be postmarked by February 1st. Eckerd College Transfer Scholarships recognize outstanding transfer applicants for admission. Students must be admitted without conditions to be eligible for a transfer scholarship. 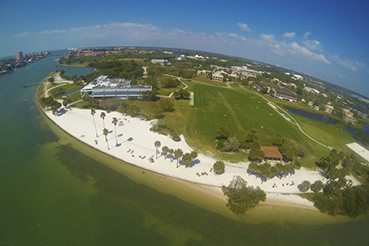 The scholarships are available for up to four years of study at Eckerd. Recipients will be notified of their Transfer Scholarship amount shortly after admission. Eckerd College is a NCAA Division II college and a member of the Florida Sunshine State Conference. Athletic aid is available for select sports. Please contact the Athletic Department for specific details. VA Benefits Chapter 33 and Yellow Ribbon Eckerd College accepts VA educational benefits for eligible veterans or their dependents under the Chapter 33 (Post 9/11) GI Bill. Chapter 33 tuition and fees benefits are up to $22,805.34. When the combined tuition and fees exceed this amount, eligible veterans or their dependents that enroll in the Eckerd College Residential Program and are eligible for 100% of the Chapter 33 benefits will receive additional funding through the Yellow Ribbon Program. The Eckerd College Yellow Ribbon Program provides fifty percent of the remaining tuition and fees. The VA Yellow Ribbon Grant matches this amount. With these funds, 100% of tuition and fees are paid through the combination of Chapter 33, Eckerd College Yellow Ribbon Grant and the VA Yellow Ribbon Matching Grant. The Yellow Ribbon GI Education Enhancement Program became effective Aug. 1, 2009 as a supplement to the Post 9/11 Veterans Education Assistance Act of 2008. Eckerd has entered into an agreement with the U.S. Department of Veterans Affairs (VA) to fund full tuition and student fee expenses (excluding room, board and other charges) for all students who qualify for the VA’s new Yellow Ribbon Program. Students who are eligible for the Yellow Ribbon Program will receive a grant from Eckerd College which covers out-of-pocket tuition charges and student fees which are not covered by VA benefits or other state and federal financial gift aid program. The institution’s portion of Yellow Ribbon Grant will replace any previously awarded Eckerd College scholarship or grant. For more information about the Yellow Ribbon Program, see www.gibill.va.gov or call (888) GI-Bill-1. You may also contact Pat Watkins watkinpe@eckerd.edu 727-864-8334. Students from outside of Florida should check with their state scholarship agency to determine if scholarship funds are portable to colleges in Florida. Students from Vermont are able to use their state scholarships at Eckerd College. Organizations, foundations, businesses and individuals also support continued education through scholarship programs. There are a number of excellent free website and search programs to help you locate these scholarship funds. Do not pay for a scholarship search as these services are usually not reliable. The following sources are options you may want to consider. You may also find options through your high school guidance office, service organizations, religious affiliations, or your parent’s employer. Many students find it necessary to borrow to pay for educational expenses. Federally sponsored loans are the best way to finance educational costs since the interest rates are lower than private loans. Repayment begins after you are no longer enrolled in school at least half time. While the standard repayment period is for up to ten years, you may apply for an extended repayment schedule. Both the Federal Perkins Loan and the Federal Direct Loan programs offer loan forgiveness programs if a borrower is employed in certain public or military service positions. The Federal Direct Loan is a low-interest loan program available to all students. The current interest rate for subsidized and unsubsidized loans is fixed at 5.045%. Repayment begins six months after the borrower is no longer enrolled at least half time for a period of up to 10 years. The interest on the Federal Direct Loan is subsidized (paid by the federal government on the student’s behalf) for students with financial need. While interest accrues on an unsubsidized Federal Direct Loan, the interest payments may be capitalized. The capitalized interest amount will be added to the principal balance when repayment begins. The maximum amount a student can borrow is based on grade level. First-Year $5,500 — No more than $3,500 may be subsidized. Sophomore $6,500 — No more than $4,500 may be subsidized. Junior $7,500 — No more than $5,500 may be subsidized. Senior $7,500 — No more than $5,500 may be subsidized. Independent students and dependent students whose parents have been denied a Federal PLUS loan may borrow additional unsubsidized Stafford loan funds. The maximum a student can borrow is based on grade level. Did you know that if you borrow $27,000 with an interest rate of 4.45%, your monthly payment would be $279.17 for 10 years? Students who have not borrowed previously must complete an Entrance Counseling Session. The Entrance Counseling Session explains the borrower’s right and responsibilities as well as review repayment provisions and options. The Session can be completed on line. You may complete the Entrance Counseling Session at StudentLoans.gov, the Department of Ed’s website. Log in to the site using your Social Security Number, the first two letters of your last name, your birth date, and your FAFSA Pin Number. Choose Entrance Counseling from the menu on the left. Eckerd College will receive an electronic report that you have successfully completed the Entrance Counseling. Federal student Loans helped you with your education expenses. Federal regulations require that you complete an Exit Counseling Session once you are no longer enrolled at least half time. This Session will also assist you with managing your student loan payments. You may do the Session on line at StudentLoans.gov. When the site opens up, do not log in. Choose “Tools and Resources” from the menu bar at the top of the page, then choose Exit Counseling from the drop down menu. This will link you to the National Student Loan Database (NSLDS). Choose Exit Counseling at the bottom of the page. There will be a few pages of information then you will log in to the actual Exit Counseling Session. You will log in with your Social Security Number, the first two letters of your last name, your date of birth, and your FAFSA Pin Number. Eckerd College will receive an electronic report that you have successfully completed the Exit Counseling. Parents may borrow the difference between a student’s financial aid and the cost of attendance. The cost of attendance includes tuition, fees, room and meal charges but also books, supplies, transportation and other personal expenses. The current interest rate of 7.595% is fixed. Repayment begins within 60 days of the second disbursement but can be deferred until the student is no longer enrolled at least half time. When the deferment option is chosen, the interest does accrue on the loan balance. The repayment period on the loan is up to ten years. If you have previously received a Federal PLUS Loan, you must reapply for the Federal Direct PLUS Loan. You will be required to complete a new Master Promissory Note (MPN). Please feel free to contact the Office of Financial Aid if you have any questions regarding the Federal Direct PLUS Loan. The Federal Direct PLUS Loan Application will be available for the 2019-2020 Academic Year after March 15, 2019. To apply for a Federal Direct PLUS loan, visit this site after that date. Alternative loans may be available to students who are not eligible for federal financial aid or who may need additional funds to meet educational expenses. The student’s eligibility is determined by the lender and is based upon credit worthiness. The maximum amount that a student may receive for an alternative loan is the cost of attendance less the expected financial aid. Alternative loans are not for everyone. They are expensive and should only be borrowed when all other resources (such as Federal Direct loans, Federal Direct PLUS loans or the Tuition Pay monthly payment plan) have been exhausted. Because alternative loans are not guaranteed by the federal government, they must be insured privately. This cost is passed on to the borrower in the form of higher fees and interest rates. In addition, the lender will look at your credit history as well as other factors to determine if they will lend to you. Most alternative loan lenders require a student to have a credit worthy co-signer for the loan. The co-signer is responsible for the repayment of your loan if you go into default, become disabled or become deceased. What is the interest rate? Is the interest rate fixed or variable? What is it based on? When does repayment begin? Can principal and interest be deferred? Is the interest capitalized? If interest is not capitalized, when are interest payments due? What happens if payments are not made? How much is the loan origination fee? Is this deducted from my loan disbursement or added to the amount I borrow? Can payments be made through electronic transfer? Can I borrow money to cover past due balances from a previous school term? Are there interest rate deductions or other incentives for borrowers who make their payments on time? Review the interest rates, repayment requirements and fees for several lenders before you apply for an alternative loan. The lender may require you to pay interest on the outstanding principal balance while you are in school. If the interest is not paid, subsequent loan disbursements may be canceled. If the lender does not collect the interest while you are in school, the interest will be capitalized. This means that the interest accruing on your loan will be added to your principal, increasing the amount of your alternative loan indebtedness. Remember, you may be denied by one lender and approved by another because of the criteria for lending established by the lender. To be in compliance with federal reporting requirements, Eckerd College does not maintain a preferred list of lenders nor does the college recommend any lenders of alternative loans. We would suggest that you discuss alternative loans with your bank or lending institution. Information on alternative educational loans is also available through the web. The Eckerd College Grant is awarded to students who are applying for financial aid using the Free Application for Federal Student Aid (FAFSA). Awards are based on the student’s financial need. These awards are renewable for four years as long as the student maintains a 2.0 cumulative GPA. The Federal Pell Grant is awarded to students with exceptional financial need and who are enrolled in a degree program. The amount of the grant is based on the Expected Family Contribution and enrollment status. The award is reduced for less than full time study. Currently, the maximum grant is $6,095. The Federal Supplemental Educational Opportunity Grant (SEOG) is awarded by Eckerd College to students, who receive the Federal Pell Grant and demonstrate extreme financial need. These funds are limited and students are encouraged to apply prior to the priority deadline to receive full consideration. Review details of the Florida Effective Access to Student Education (EASE) and Florida Student Assistance Grant (FSAG). The Federal Work Study Program is awarded by Eckerd College to students, who have significant financial need. Federal Work Study funds are limited. The award amount indicates the maximum Federal Work Study funds a student can earn during the academic year. These funds are paid directly to the student as compensation for hours worked. The state of Florida provides scholarships and grants to students, who are permanent residents. To be considered a Florida resident, an independent student or either natural parent of the dependent student must have been a resident of the state, for purposes other than education, for at least twelve consecutive months prior to the first day of classes for the academic term for which assistance is requested. At Eckerd College, all first time recipients of Florida scholarship or grants must submit documentation of Florida residency before funds can be disbursed. The Office of Financial Aid will send recipients a residency verification form when needed. Don’t forget to review the renewal requirements section. The Florida Bright Futures Scholarship program recognizes academic achievement of Florida high school graduates with two scholarship programs. The Florida Academic Scholars program awards $211 per credit hour and a $600 per year book allowance. For the 2018–2019 academic year, the average annual amount is $6,508. The Florida Medallion Scholarship program awards $158.00 per credit hour. For the 2018–2019 academic year, the average annual amount is $4,424. To apply, students must contact their high school guidance counselor or Florida Bright Futures office. More information can be obtained at the Florida Department of Education site. The Florida Effective Access to Student Education (EASE) supports Florida students attending a non-profit, Florida private college. This award is made to full time students, with enrollment of at least 12 credit hours each semester. The award is not contingent upon either academic achievement or financial need. During the 2018-19 academic year, the Florida Resident Access Grant is $3,500. The Florida Student Assistance Grant (FSAG) is awarded by Eckerd College to full time students who demonstrate financial need. This scholarship ranges from $200 to $2,600 per academic year and is limited based on annual state allocations. Students must complete the Free Application for Federal Student Aid (FAFSA) to be considered for the Florida Student Assistance Grant. Priority is given to students who file before our February 1st priority deadline. The Private College 529 Plan is sponsored by the Tuition Plan Consortium, a group of more than 270 participating private colleges committed to making a private college education affordable. Eckerd College is a proud participant in this plan. The Private College 529 Plan is a pre-paid tuition program structured as a pre-purchase of tuition—not an investment. This structure eliminates family concerns about investments keeping pace with tuition increases and allows families to lock in today’s prices that can be used any any of the Plan’s participating schools. The beneficiary does not select a college or university until the time of enrollment, and participation in the Private College 529 Plan does not influence or guarantee admission to any college or university. Learn more at privatecollege529.com. Most Qualified Tuition Plans, also known as 529 Plans, are operated by state governments and pay an average of a state college’s tuition and required fees. Eckerd College is an eligible institution for the Florida Pre-Paid Tuition Program. If you have a pre-paid plan through another state, contact your plan administrator to determine the portability of this benefit.